As an aside Tuesday, Apple also announced that it's refreshing both MacBook Air and the 17-inch MacBook Pro, though both systems will largely retain their existing industrials designs. The new MacBook Air, which continues to weigh in at 3 pounds and measure only 0.16-inches at its thinnest point and 0.76-inches at its thickets, now includes the new NVIDIA GeForce 9400M integrated graphics chipset and a faster architecture to provide robust support for 3D games and enhanced performance. New models will start at $1,799 and be made available with a 120GB 4200 rpm hard drive when they go on sale in November, a 50 percent increase from the previous generation, or a new 128GB solid state drive. 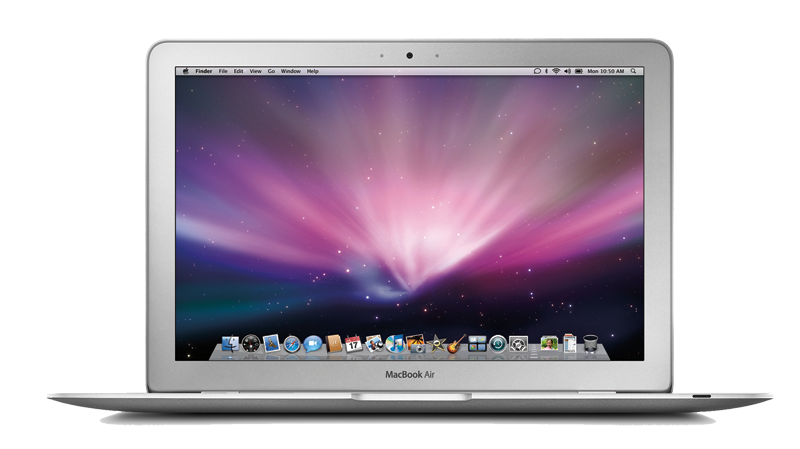 Like the new 13-inch MacBook and 15-inch MacBook Pro, the MacBook Air also includes a next generation, industry-standard Mini DisplayPort to connect with the new 24-inch Apple LED Cinema Display. The new Mini DisplayPort delivers a pure digital signal that can drive up to a 30-inch widescreen display, and is ultra-compact at just 10 percent the size of a full DVI connector. Meanwhile, the updated 17-inch MacBook Pro keeps its original aluminum design, and now comes standard with a high resolution 1920 x 1200 LED-backlit display and a larger 320GB hard drive or an optional 128GB solid state drive.